A Tale of Coincidence? My Story.... The concluding part!!! Hey Dolls, I hope your day went well? Have you subscribed to my YouTube Channel yet? Please do, so you don't miss a video when I post. So today is not about YouTube, but a conclusion of the gist I started some days ago. I know some of you are itching for what happened next. Anyhoo, where did I stop?
" Hello good evening. I hope your day went well? Please there is something I would like to discuss with you. Can you add me on whatsapp so we could chat? Here is my number ( insert my number). Thanks and have a lovely evening. I logged out of Facebook and carried on with other things. It wasn't up to 5mins when I received a whatsapp notification. She had sent 3 messages at once. So I'll be typing as me, and she would be "the other Chloe" !!! Me- Ok, so my name is Doyin Ubani and I am a Makeup Artist. Me- I logged into Facebook today after almost a year, and I noticed you have an account with the same business name as mine, so I wanted to clarify. The other Chloe- same as yours? I don't understand. When did you start answering Chloe? 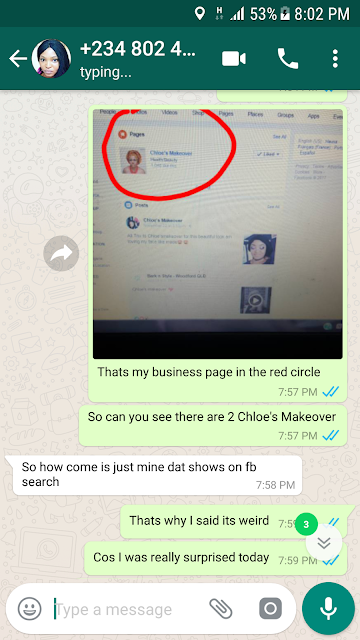 Me- My business name is Chloe's Makeover and I registered that name with Corporate Affairs Commission as far back as 2009. So I wanted to ask if you did a proper search before taking up the name. The other Chloe- My dear I don't know you and I don't care if your name is fatally know is that I used my name for my business. The other Chloe- did you see any of your pictures there? Or is it now one person that bears that name. I don't understand. Me- Don't get me wrong, it's just so there is no confusion. The other Chloe- Is this the first time you are seeing different businesses using the same name. You are sounding like I stole the name. Me- No please, that's not what I mean. All I am saying is this; We both have the same business name, don't you think it will confuse people? Imagine if you direct someone to your business page on Facebook and the person stumbles on mine or vice versa. Me- Let me ask you... Are you a makeup artist? Do you provide makeup services? Me- Ok so have you registered the name yet? The other Chloe- So how come each time I click on search for Chloe's Makeover, all I see is just mine? If we were more than one it will appear. Please check your name carefully again. Me- This is weird really. I can show you a screenshot. Me- My business name was registered with CAC since 2009, there is no way CAC will register a name twice. The other Chloe- Let me see it. After she sees the screenshot we continued the conversation. The other Chloe- So how come it's just mine that shows on Facebook search? Me- That's why I said it's weird, cos I was really surprised today. Are you on any other social media? The other Chloe- I don't know you, whoever you are there's nothing I can do about it. Chloe is my real name, I used it for my business. So I don't know what you want me to do. Me- I don't know you either, but for the sake of our businesses , it's not right that 2 people should have the same business name, in the same industry. 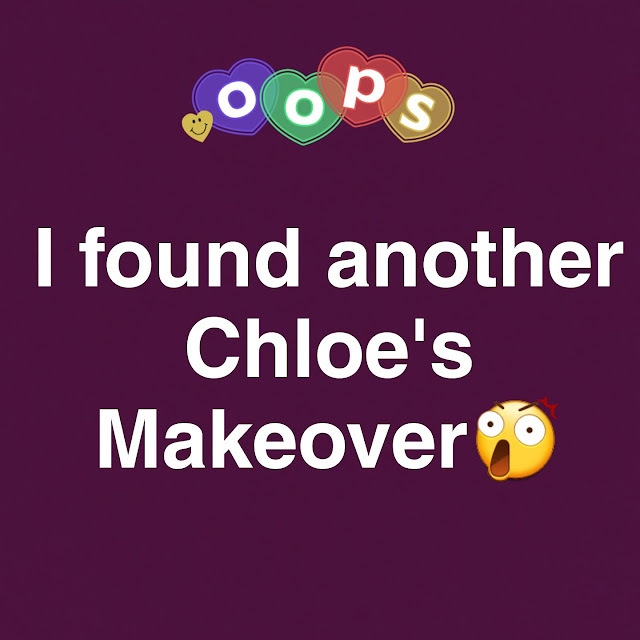 Chloe's Makeover is my brand, registered with CAC since 2009. The other Chloe- I am thinking of adding my daughter's name so when I change it to that it will be easier for you. But as for Chloe, I am not doing anything about it. Me- But you said you have registered Chloe's Makeover with CAC. The other Chloe- Yes, but I had another idea recently to include my daughter. So when that is finalized our names will be changed hopefully. Me- That's fine then. I was going to table the matter to the Makeup Artist Guild Of Nigeria, and call the attention of my contact in Corporate Affairs Commission, because it's not proper for them to register the same name twice. Thanks for your time, have a lovely night. I screen grabbed the entire chat, and blocked her. So now I am thinking...Did I do the right thing by confronting her? Should I have just allowed the issue to slide? Did I actually make her feel like she stole the name? 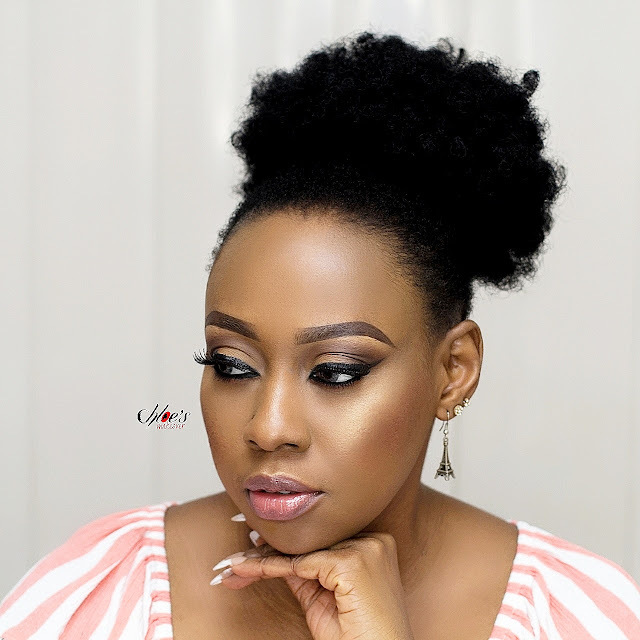 I was just defending my brand, Doyin Ubani is my real name Yes, but I am already associated with Chloe's Makeover to the extent that some of my colleagues call me Chloe. But this lady was so bent on possessing the name CHLOE... like duh???? 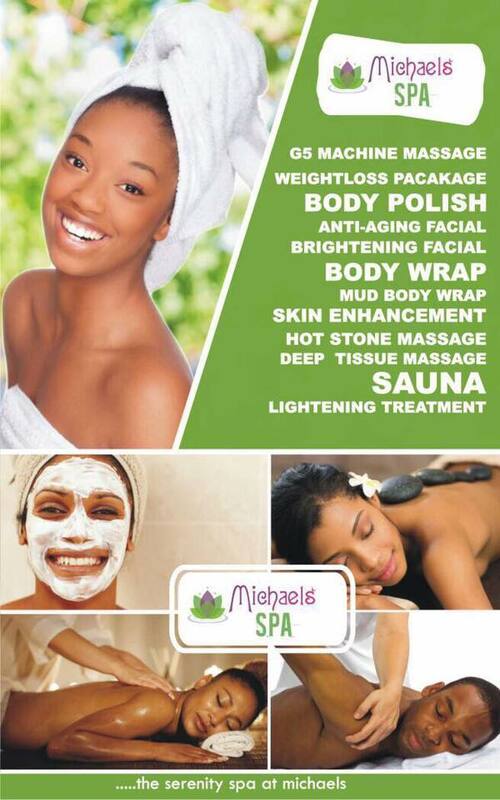 It's not just about the name, it's about branding!!! I know she hasn't registered that name, or any other name for that matter so why should I let it slide? 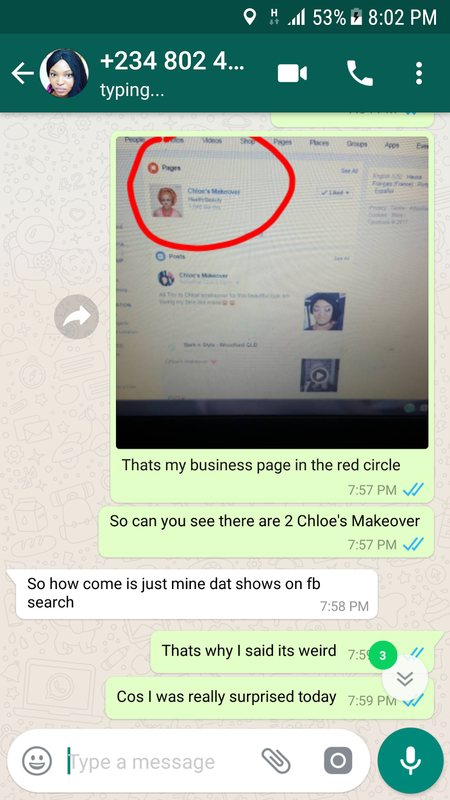 What she doesn't realize is that I am even doing her a favour now, because when she wants to register her business name she will be told Chloe's Makeover is already taken. So she better add her daughter's name fast and do a proper search. After all Chloe is my daughters' English name. The reason I screen grabbed our chat is for future purposes, I would need evidence, you know, just incase of anything. I have seen where a makeup artist had to change her business name, she changed her logo, her website/ blog name, email, all her social media handles, infact everything associate with her old brand just because a couple of other makeup artists had words/ phrases associated with her own brand. The truth is, I don't plan to take the matter anywhere, at least not yet, all I want is for her to do the proper thing. If she wants to run a business and be serious about it, she should do a search and register her business name. I have brought it to her attention, she should apply wisdom. The sky is big enough for everyone to fly. So there goes my story... A tale of name coincidence. Dolapo, if you are reading this, now I can understand how you felt!!! Thanks everyone for reading. Don't forget to subscribe to my YouTube channel. I already have requests on videos to do, so that's coming up soon. oh well! you were matured in the conversation and right in defending your brand. I hope she does more research and do the needful at least so she can have a brand of her own. I should go and register my brand name oh, before someone takes it. Yes dear, it's necessary to do the needful to avoid stories that touch in the future.